Liveness is a persistent and much-debated concept in media studies. Until recently, it was associated primarily with broadcast media, and television in particular. However, the emergence of social media has brought new forms of liveness into effect. These forms challenge common assumptions about and perspectives on liveness, provoking a revisiting of the concept. 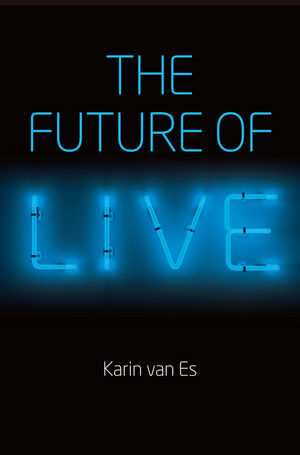 In this book, Karin van Es develops a comprehensive understanding of liveness today, and clarifies the stakes surrounding the category of the live. She argues that liveness is the product of a dynamic interaction between media institutions, technologies and users. In doing so, she challenges earlier conceptions of the notion, which tended to focus on either one of these contributors to its construction. By analyzing the live in four different cases  a live streaming platform, an online music collaboration website, an example of social TV, and a social networking site  van Es explores the operation of the category and pinpoints the conditions under which it comes into being. The analysis is the starting point for a broader reflection on the relation between broadcast and social media. Karin van Es is Assistant Professor of Television and New Media at Utrecht University.